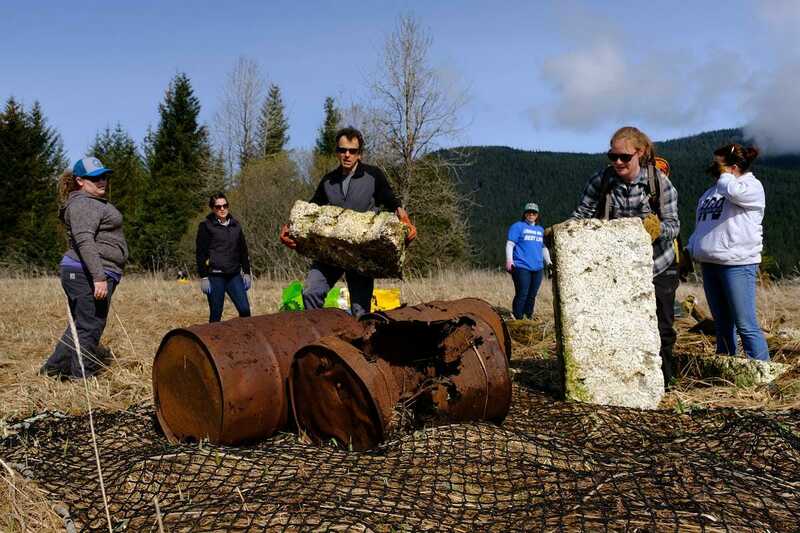 Sunny Point: Plan to meet at the Sunny Point pullout on Sunny Drive (both the west and east entry points to the Mendenhall Wetlands State Game Refuge). To get there, go under the Egan Drive underpass onto Sunny Drive, in Juneau. 12:00pm: Post-cleanup celebration at the Alaskan Brewing Company Tasting Room. 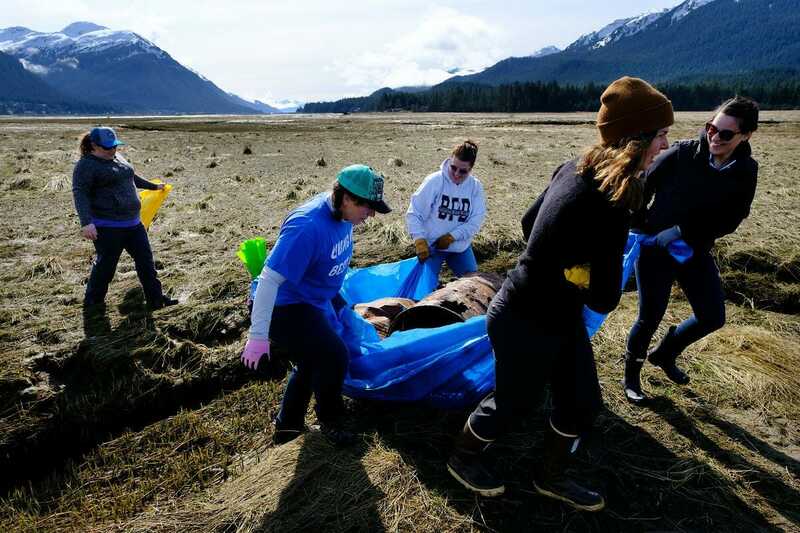 12:00pm – 1:30pm: Cleanup volunteers are welcome to enjoy a complimentary lunch from DuPont Dogs at the Alaskan Brewing Company Tasting Room with proof of a volunteer wristband. WHAT TO BRING: Old tarps (useful for dragging rubbish), rubber boots, gloves, and friends!